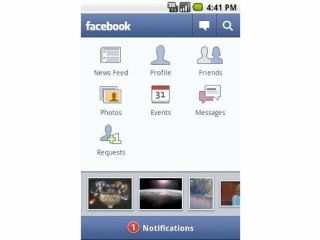 Facebook's head of mobile has claimed that Android and other mobile platforms are now just as important as the iPhone to the social network. "Of course, we want to deploy [all features] across all platforms at once, but in the past we've done things first on the iPhone and then tested to see what happens. "Yesterday was the first time we launched two at once [new applications for the iPhone and Android], but we don't have a magic want to update all platforms at once; if you ask any developer trying to synchronise across all at once is very hard. "It's not that the iPhone has all the best features, for instance you can't share directly from taking a picture or sync contacts to your address book - in that case Windows Phone 7 is best. "But until we can get a much larger engineering team or a magic wand [there will always be disparity in places]." "Comparing the mobile and web versions of the site, there are some users that are mobile only, or might only check on a PC ever six weeks or so. "There has been some cannibalisation from the likes of iPhone or Android users, but when you look at the metrics both formats are still on the increase, so we see a world when the world is both web and mobile together."